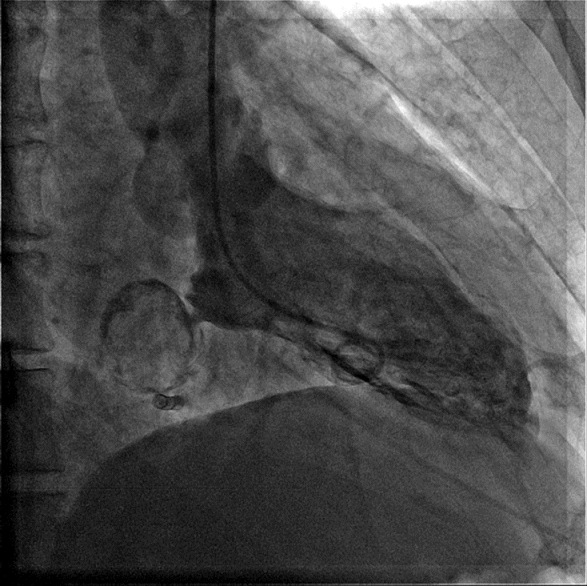 Cardiac hydatid cyst is a rare condition, accounting for only 0.5-2% of all hydatid infestations. 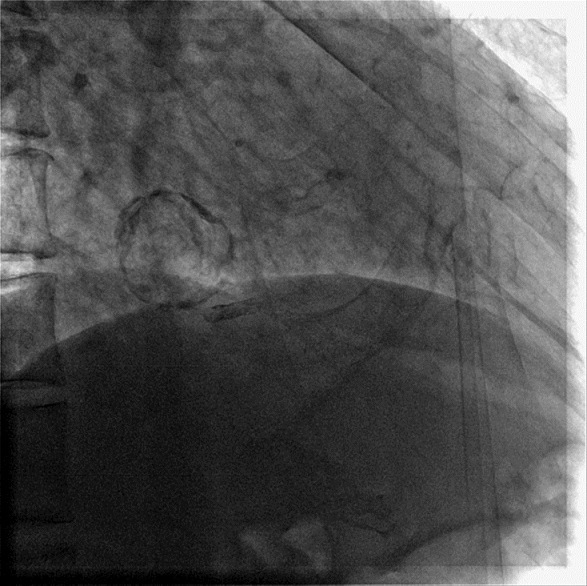 , Fluoroscopy, coronary angiography, left ventricular angiography and CT scan of a 67-year-old diabetic, hypertensive and chronic stable angina patient showed incidental calcified cyst attached to heart [[Figure 1], Video 1]. On performing left ventricular (LV) angiography, a mass was found attached to the posterior aspect of left ventricle at the atrioventricular groove through a peduncle [[Figure 2], Video 2]. 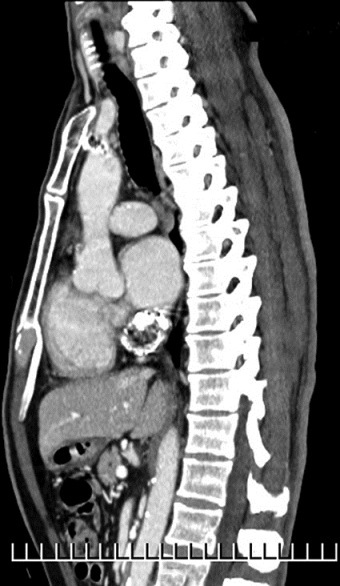 Later, 64-slice multidetector computed tomography showed a calcified cyst with multiple cystic locules within it, confirming the diagnosis of calcified hydatid cyst [Figure 3] and [Figure 4]. The cyst was intrapericardial in location with attachment to the atrioventricular groove near the crux. He was advised coronary artery bypass graft surgery with excision of the cyst. 1. 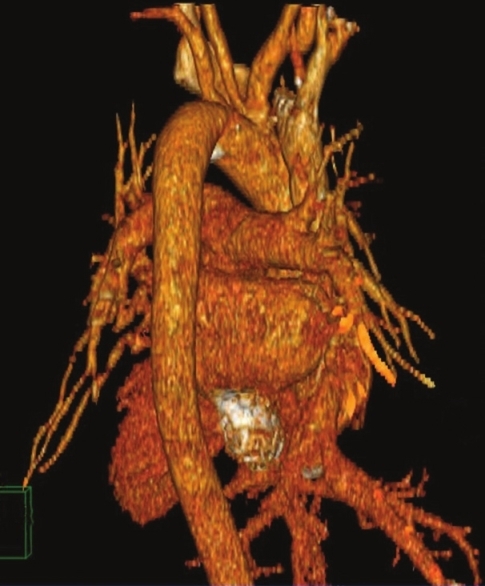 Kaplan M, Demirtas M, Cimen S, Ozler A. Cardiac hydatid cysts with intracavitary expansion. Ann Thorac Surg 2001;71:1587-90. 2. De Paulis R, Seddio F, Colagrande L, Polisca P, Chiariello L. Cardiac echinococcosis causing coronary artery disease. Ann Thorac Surg 1999;67:1791-3.